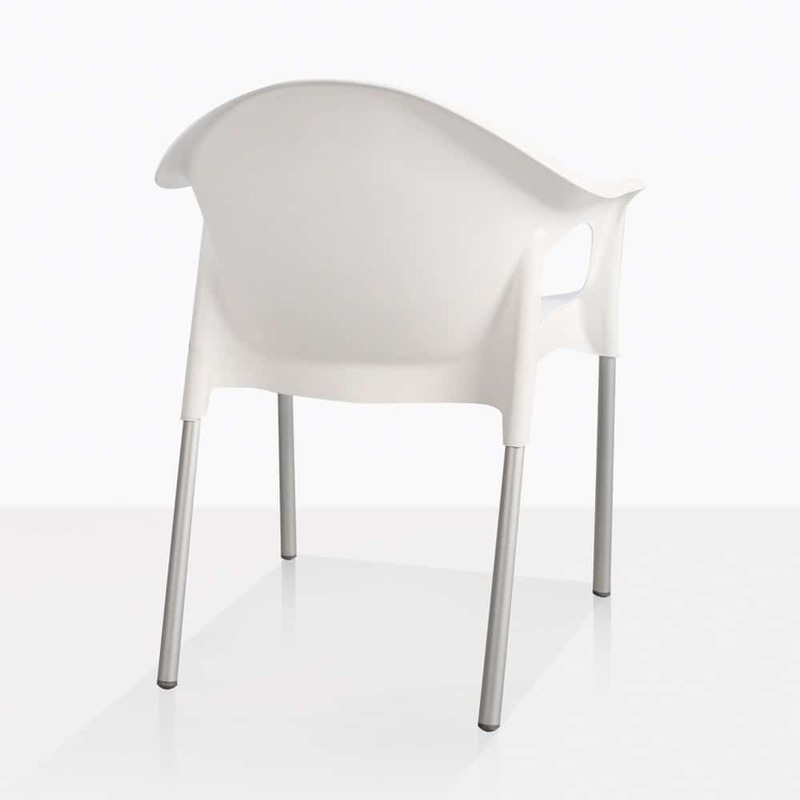 Create a light an airy outdoor dining set with the Liz Café Dining Chair in white. 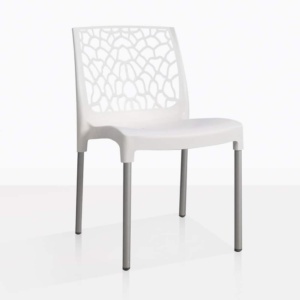 This fun and comfortable dining chair has a modern mid-century vibe and is made with durable materials. The Liz Café Dining Chair will work with many of our outdoor dining tables. Continue the curvy look and pair it with one of our round tables. 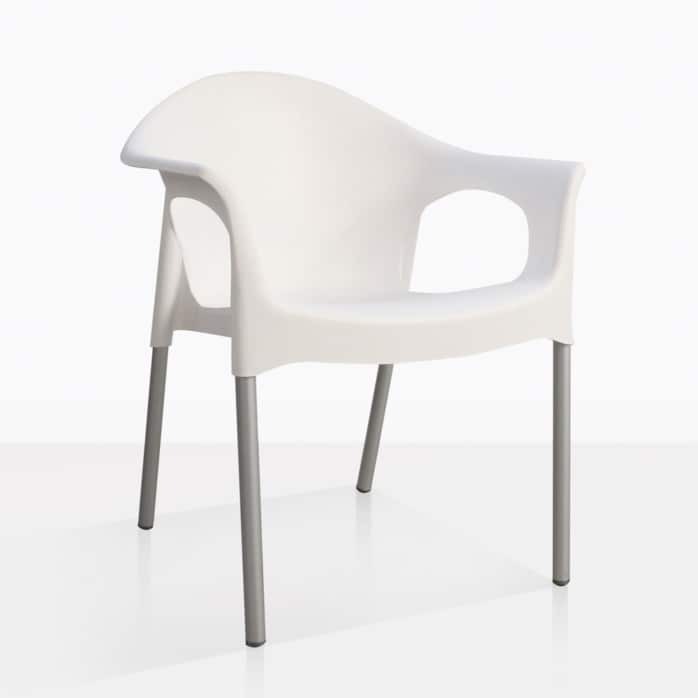 Or go ultra modern and pair it with one of our raw concrete dining tables. 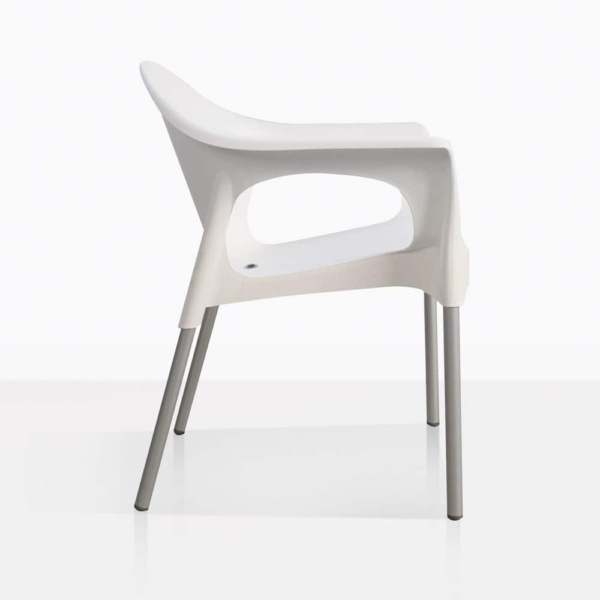 This chair is versatile and functional. 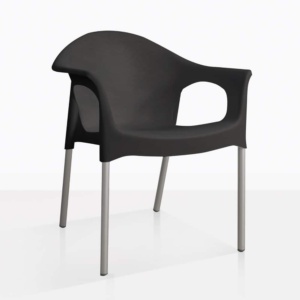 It’s made with polypropylene and aluminum, making it lightweight and easy to maintain. 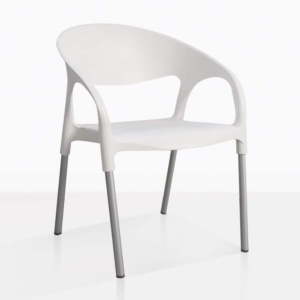 If you have more questions about the Liz Café Dining Chair in white or about any of our outdoor furniture products, then call or visit our showroom today!